In the primarily male-dominated world of cycling, Grease Rag is creating spaces where cyclists from underrepresented groups have a chance to thrive. On a Tuesday morning in mid-September, thousands of bike industry folks took a quick second to catch up on social media before heading to OutDoor Demo for the day. What greeted them was the latest media fiasco to face our industry: a pair of socks. These weren’t just any socks, though. They featured a pair of bikini-clad derrières and were part of the Interbike gift bags that every attendee received upon check-in. That’s a lot of socks and a lot of sexism. While this example received much more media attention than others, instances of sexism occur in our industry all too often. From using women as props in advertising to disrespectful comments on rides and at events, the bike industry has a long history of not being an inviting atmosphere for women. Groups like the Twin Cities’ Grease Rag are doing their part to change that. Grease Rag Ride & Wrench is a volunteer-run group in the Twin Cities area whose main objective is to encourage and support WTF (that’s women, transgender, and femme) cyclists. They achieve this through a variety of avenues: group rides, educational seminars, social events, you name it. The group’s events create a safe haven for WTFs to grow as cyclists in a much more inclusive environment. While Grease Rag Ride & Wrench has organized and hosted many successful events, the Wrench in its name is where the group shines—open shop nights. What Exactly is an “Open Shop Night”? Since the group hosted its first open shop night in the summer of 2009, Grease Rag has helped hundreds of WTFs in the Twin Cities area develop the confidence and knowledge to work on their own bikes. 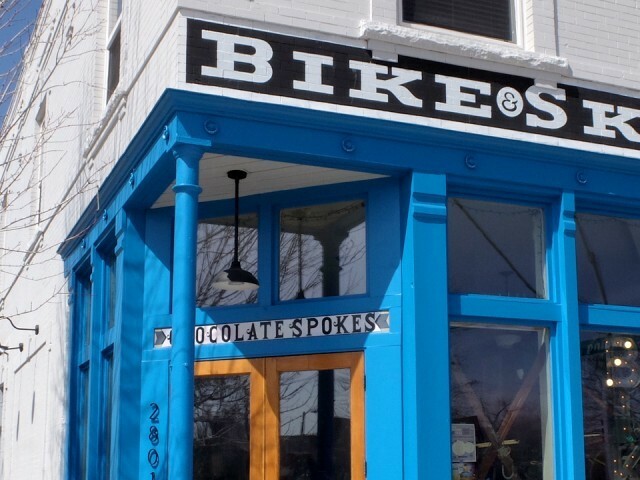 These safe and inviting shop spaces result in more people from underrepresented groups wrenching on and riding bikes, thereby moving the needle of equality in the right direction. The group even has a monthly open shop night specifically for WTFs of color. But what exactly is an “open shop night”? Participants at open shop nights come from all backgrounds and walks of life. Regular attendee Kristin Greeley first heard about Grease Rag at another local event and decided to check it out, hoping to fix up her old bike and learn some mechanical skills. After only a few nights, though, she got even more than that. Grease Rag currently partners with six shops around the Twin Cities to host open shop nights. Shops provide the space, time, tools, and consumable items like lubes and degreasers. 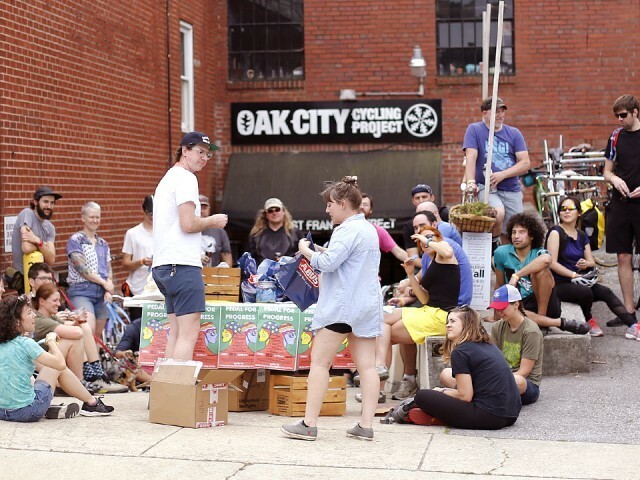 The shops are chosen to accommodate different neighborhoods, but Grease Rag members are welcome and encouraged to check out different locations to find an open shop that best suits them. At each shop, there is at least one facilitator, or a point of contact, to ensure that the night runs smoothly and to set the overall vibe of the evening. 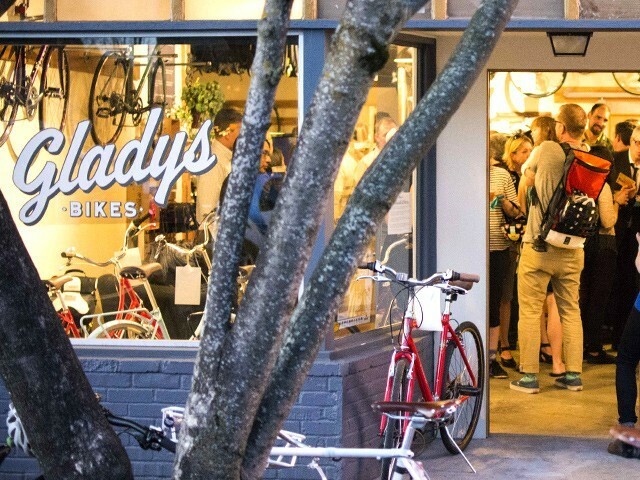 Open shop nights not only create safe and inclusive environments for budding mechanics, they also provide benefit for the shops that participate in them. By hosting these types of events, shops are guaranteed to have a regular night with low overhead where customers are showing up and buying things. More than just bringing in sales, though, open shop nights help shops build a positive reputation in the community. The worker-owned Hub Bicycle Co-Op in Minneapolis has been hosting open shop nights with Grease Rag for years. Worker-owner Morgan Pease says the shop’s reputation as a WTF-friendly shop speaks for itself. Pease recommends that every shop looking to connect more with its community host an open shop night. While having a group like Grease Rag in your city makes it much easier, the basics of it are something that any shop can put together. Hosting events on a consistent night helps participants plan out their weeks so they can attend. Events can be hosted on a weekly, biweekly, or monthly basis depending on your available resources. The most important thing to keep in mind is ensuring your staff is trained to be respectful facilitators. Constantly remind your staff what the purpose of the event is, and make sure no one is saying or doing something disrespectful. That includes inappropriate or crude jokes, sexual advances, and negative comments about someone’s bike or gear. The overall goal is to empower and educate a contingency of cyclists that don’t always feel comfortable in the traditional bike shop atmosphere, so anything that works against that goal isn’t doing anyone any good.